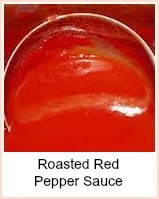 I use this tomato sauce recipe frequently. Tomatoes are a rich source of vitamin C and they feature heavily in mediterranean cooking. 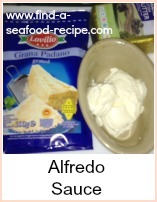 This sauce is so versatile - from here, you can add canned fish or defrosted seafood to make a pasta sauce. You could add some defrosted prawns (shrimp) and serve it over boiled rice. You could use it as a pizza base sauce - add some canned pilchards, sardines, anchovies, mixed seafood and mozzarella cheese. You could fry off some monkfish or halibut cut into chunks and add that to the sauce - serve with boiled potatoes and vegetables. The possibilities are endless - this is such a quick, tasty and versatile sauce - virtually store cupboard ingredients again. You can make a batch of it and freeze portions to bring out later. It's the basis of many of my meals and I always double up when I'm making it. 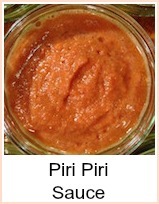 If you like a less chunky sauce, then you can whizz it up in a processor or use a stick blender - alternatively, pass it through a sieve. All you do there, is just pour it into your sieve (don't forget to put another pan or a bowl underneath!) and then push it through with the back of a wooden spoon - this gives a coarser texture than using a processor and although it's a bit messy and gives you some more washing up, it's the preferred method. Heat the oil in a pan and gently fry the onion and garlic until softened. Add the tomatoes - break them up into a pulp - and the tomato puree and white wine. Simmer for about 15 minutes until thickened. Add the basil and taste - adjust seasoning. A really versatile tomato sauce recipe that will go well with fresh or canned seafood and fish pasta dishes as well as be a great base for seafood and fish stews.